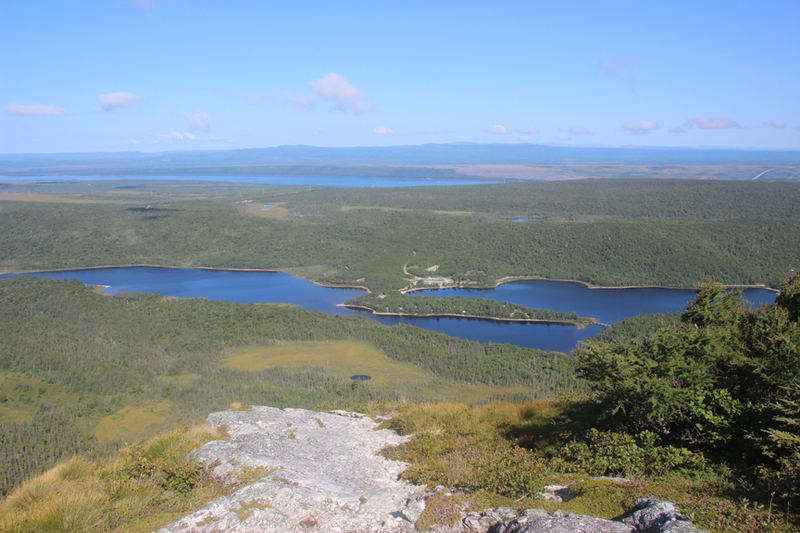 Our last night in Newfoundland we stayed at Barachois Pond Provincial Park which is the first park we stayed in. In the morning we decided to hike Erin Mountain, since we didn’t have to catch the ferry until midnight. This was a long hike but probably one of the most breathtaking 360 degree views we have seen. There was one hike in another area we didn’t want to take because we saw there were over 400 steps and we thought that would be too much. Little did we know this hike had over 800 steps (yes, I counted) but we did make it. 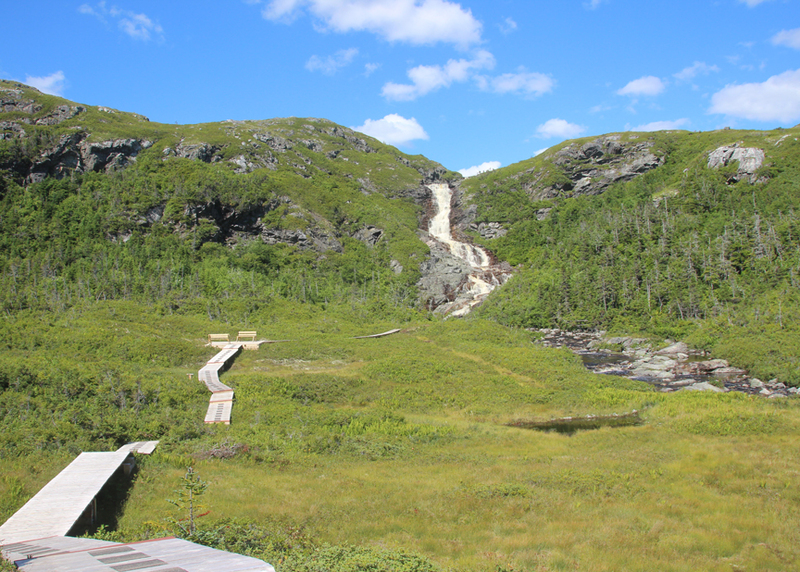 The difference in hiking in Newfoundland versus other places is they really like their boardwalks as well as the stairs. Sometimes it is a blessing and other times it is a curse. 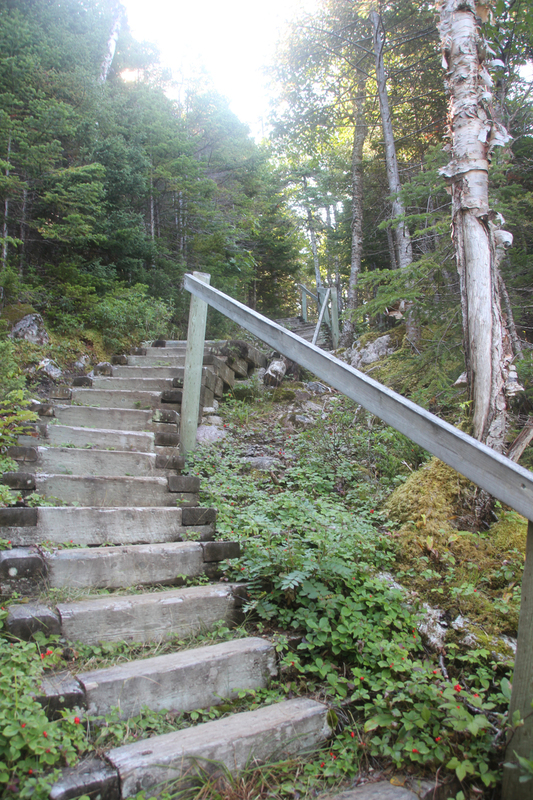 Some of the 800+ stairs on Erin Mountain. This picture doesn’t do the 360 degree view justice. After this hike, we still had over 12 hours before we had to get on the ferry. 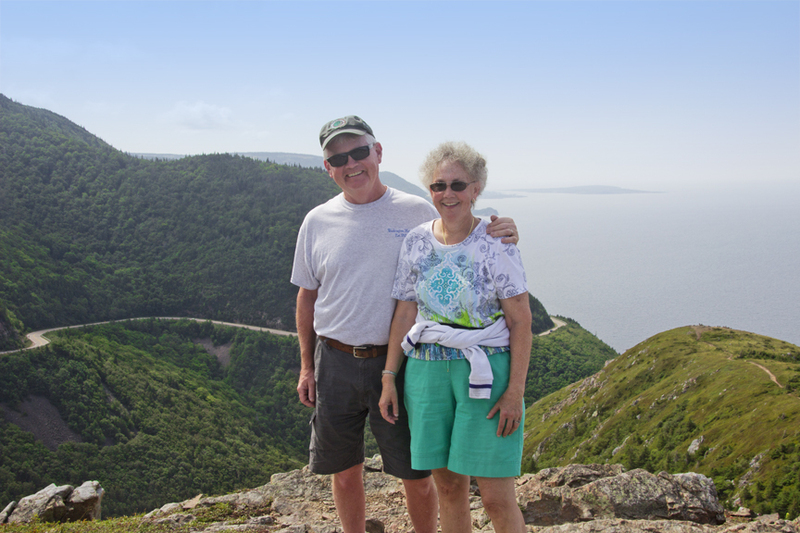 So our last tour of Newfoundland we went to one more falls and one more lighthouse. Barachois Falls in Rose Blanche is a gravel trail that then changes to a boardwalk. A nice walk in to see a beautiful waterfall. 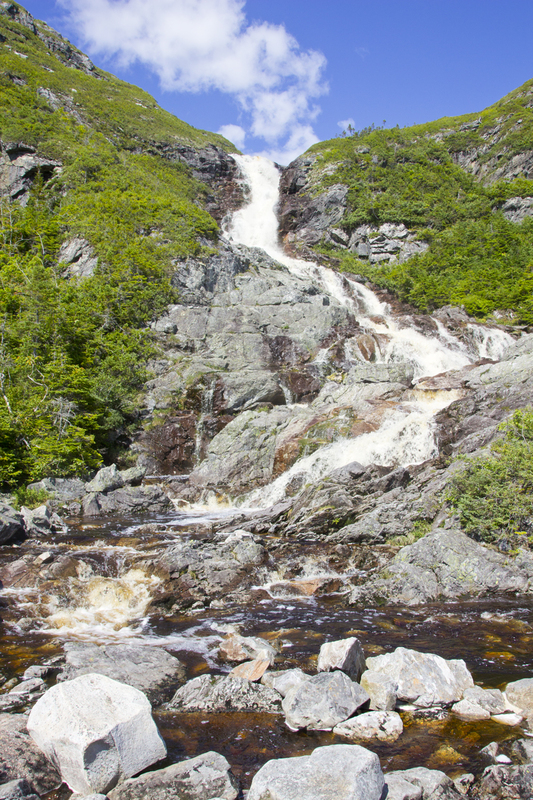 Closer view of the falls. 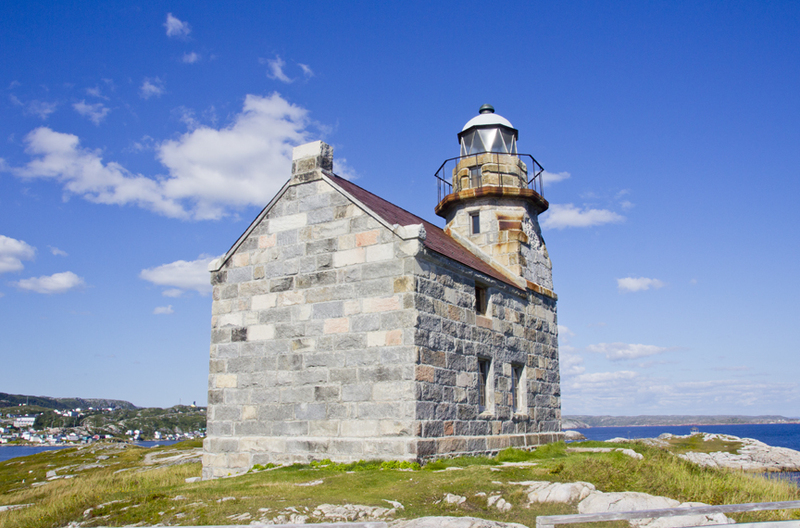 The Rose Blanche Lighthouse was originally built in 1871 and restored in 1999. 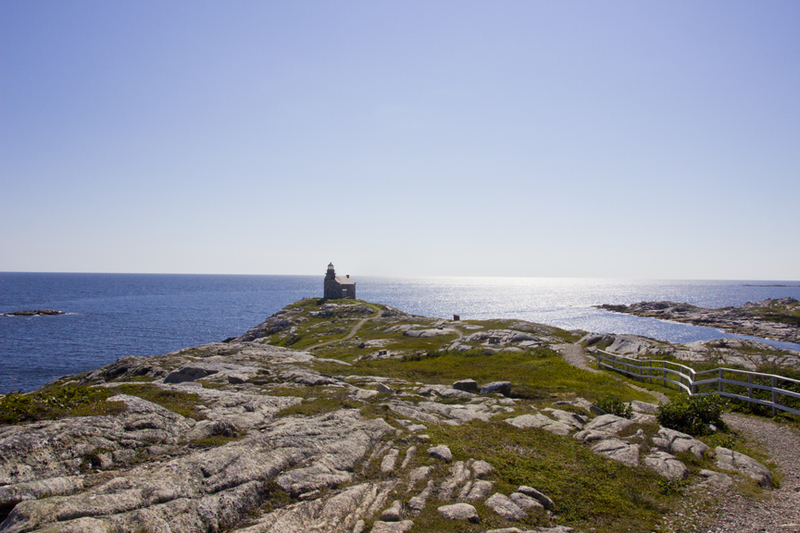 This is made from granite and during the restoration they were able to use some of the granite from the original lighthouse. The inside of the lighthouse showed where the keeper and his family lived. 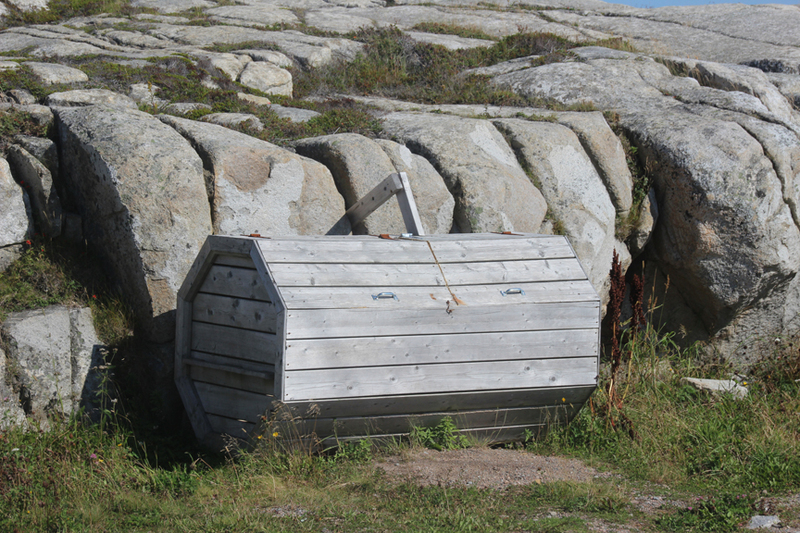 Every place we went we saw wooden boxes and wondered what they were. They were in front of every house. At first we thought they were for holding the salt to melt ice in the winter. Our next thought was perhaps some sort of trash bin. They were octagon with slats and spaces in between. They were also different colors. Come to find out it was actually a trash bin. The trash collectors do have to open it up to get out the trash bags. Apparently it is because of the wind in Newfoundland. If they used plastic cans as we are used to seeing, the wind throws them around and they get damaged or lose their lids. Smart idea. By midnight, we were on the 7-hour ferry back to Nova Scotia. 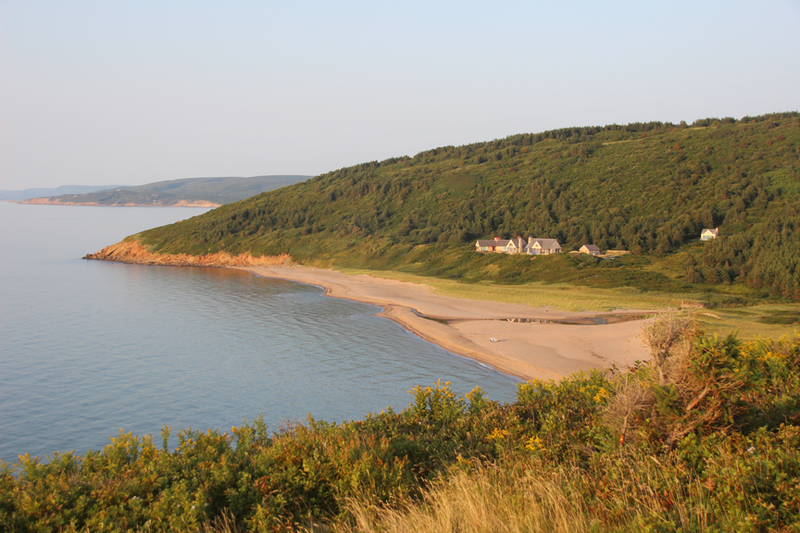 Upon arriving in Nova Scotia, we opted to spend a couple days in Cape Breton. 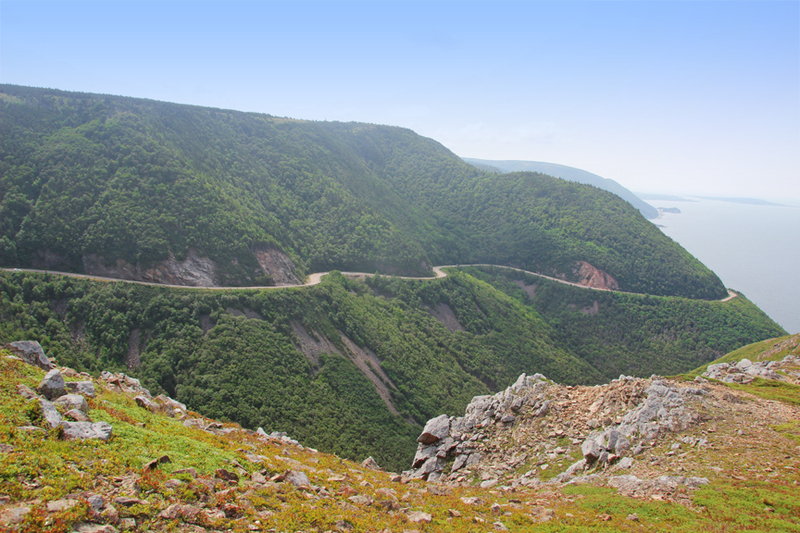 Cape Breton is another great place to visit. After the fact, we did think we should have gone here first as it was a little less spectacular than the coast of Newfoundland. 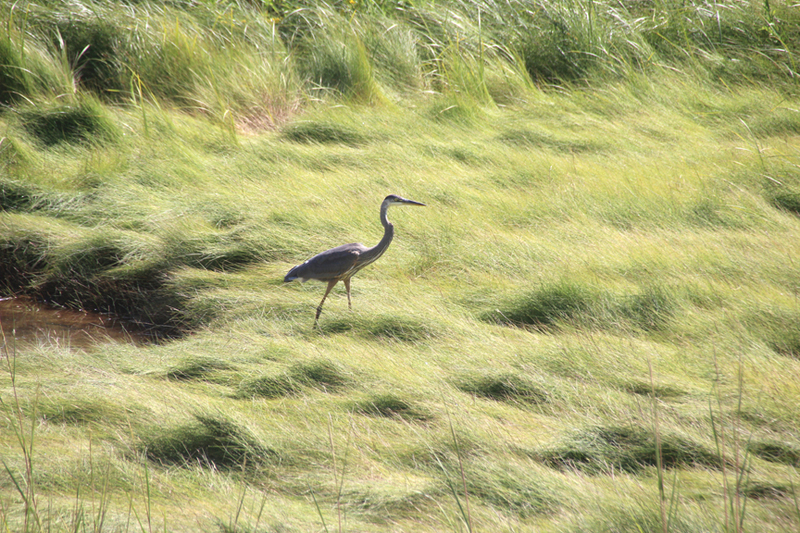 We didn’t see a lot of wildlife in Newfoundland, but we did see this heron on one of our hikes in Nova Scotia. 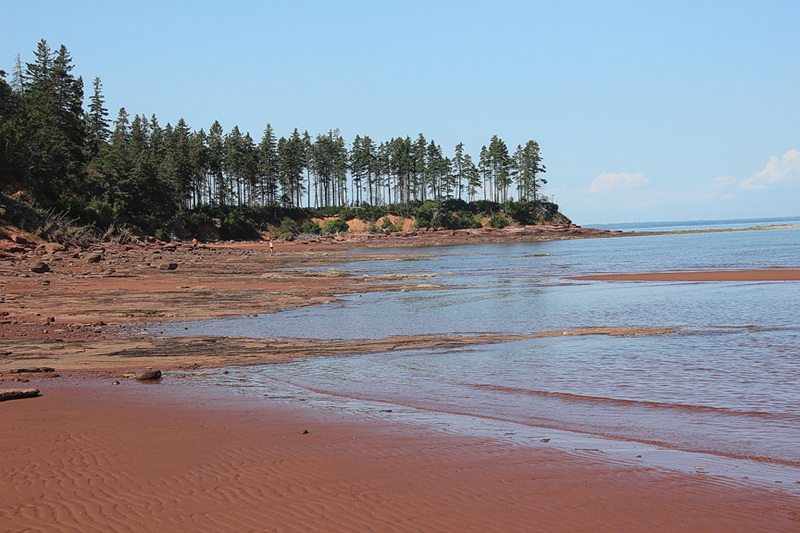 The beach in Amherst Shore was a reddish color–lots of clay in the sand I’m guessing. Overall we traveled 4,500 miles. The gas is sold in litres which when translated to US gallons is about $5.00 per gallon. So needless to say, we spent a lot of money on gas. To finish off our vacation, we stopped off in Lubec to spend time with John’s family and to pay tribute to their father who lived in Lubec.